From bedside cloud lamps made of white fabric balloons to the spacious green and black Italian marble baths to blackout drapes that shield late risers from the bright morning sun—every detail is designed to delight and inspire. In honour of the region&apos;s extraordinary wine-making tradition, all guests enjoy a complimentary bottle of wine upon arrival. Discover all of the requisite state-of-the-art technology, including large-screen high-definition televisions, High Speed Wi-Fi access, and voicemail. 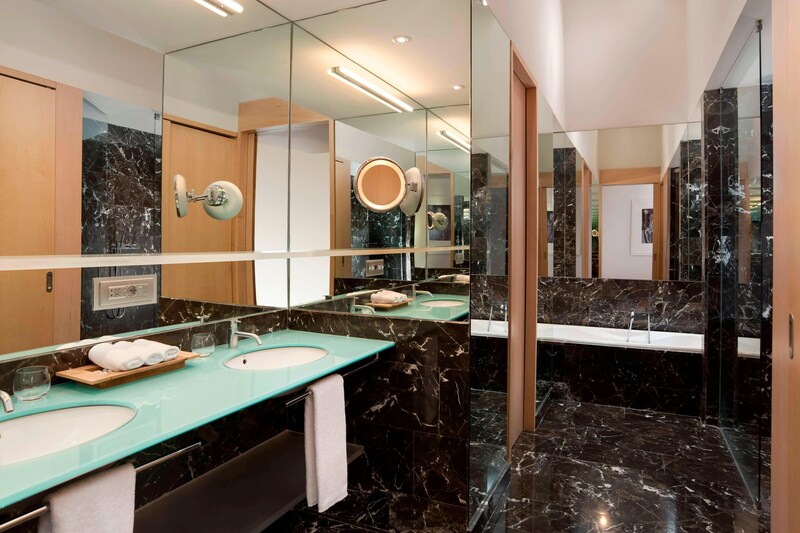 Suites come additionally furnished with Nespresso coffee machines and Porsche-designed electric kettles. The comfort of our youngest guests is ensured with special bath products, bottle warmers, as well as edge and socket guards. 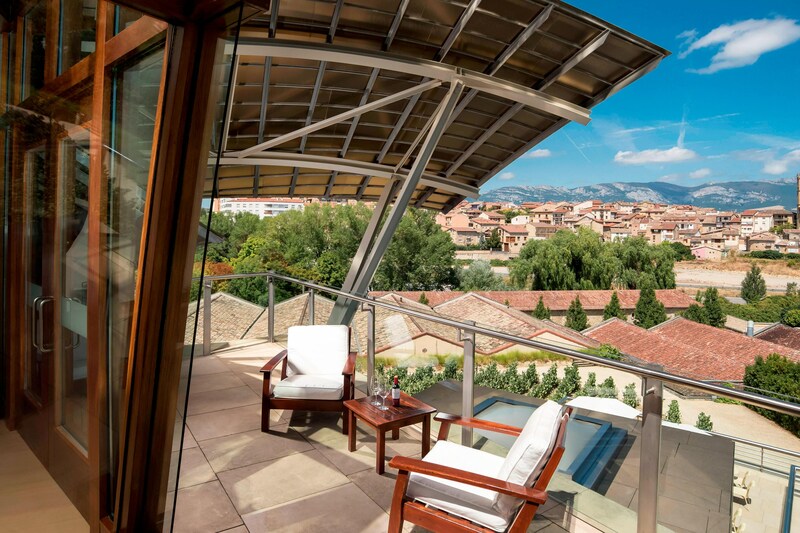 Our guests also enjoy complimentary access to the Vinothérapie® SPA Caudalie Marqués de Riscal&apos;s common areas: indoor swimming pool, relaxation area, steam room, fitness centre, Jacuzzi, and our traditional foot bath, the pediluvium. The Icon. Located in the Gehry Wing, this alluring loft-like Suite offers an iconic level of design as well as an exquisite private terrace.